Jensen Global JG2.0BC-18-0.5 is a combination of 10 2oz Boston Round Bottles with Black Luer Lock Cap, 18 guage 0.5 inch Stainless Steel Needles. 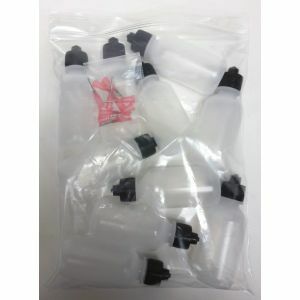 Jensen Global JG2.0BC-18-0.5 2 oz Boston Round Bottles are made of low density plastic, has a curve from the bottle reservoir through to the neck allowing material to easily flow out from the top and is very easy to squeeze. The black luer lock cap threads on to the bottle and then accepts any luer lock needle. 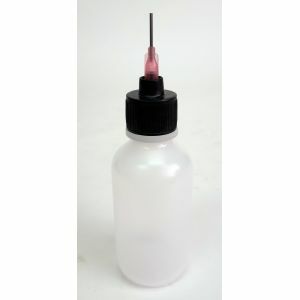 The Jensen Global JG18-0.5 Stainless Steel Needle is great for dispensing with no mess. Note: Our Boston Round Bottles are intended for industrial use only. They are not sterile and should not be used for medical purposes.